An important feature of services provided by the firm is a comprehensive study of clients’ problems, particularly the involvement of auditors, financial advisers, tax advisers, deep doctrinal research tasks. This approach enables us to provide comprehensive and intelligent solutions for our clients. The firm operates from two offices. Yaroslav Romanchuk heads the Ukrainian office in Kyiv and Ihor Yatsenko is the head of the Polish office in Warsaw. The firm’s clients include international and Ukrainian industry leaders that come from oil and gas, energy, agriculture and food industry, telecommunications, trade, transport, metallurgy, chemical industry, construction, hospitality, finance, etc. The performance of International Legal Center EUCON and its partners is highlighted by numerous recognitions and awards. Since 2010 EUCON has been included in the list of top 50 Leading Law Firms in Ukraine according to the annual ratings conducted by the Yuridicheskaya Practika Weekly and Kommersant-Ukraine Publishing House. EUCON is recognized as being among the leading tax law firms according to the national legal directory Ukrainian Law Firms. 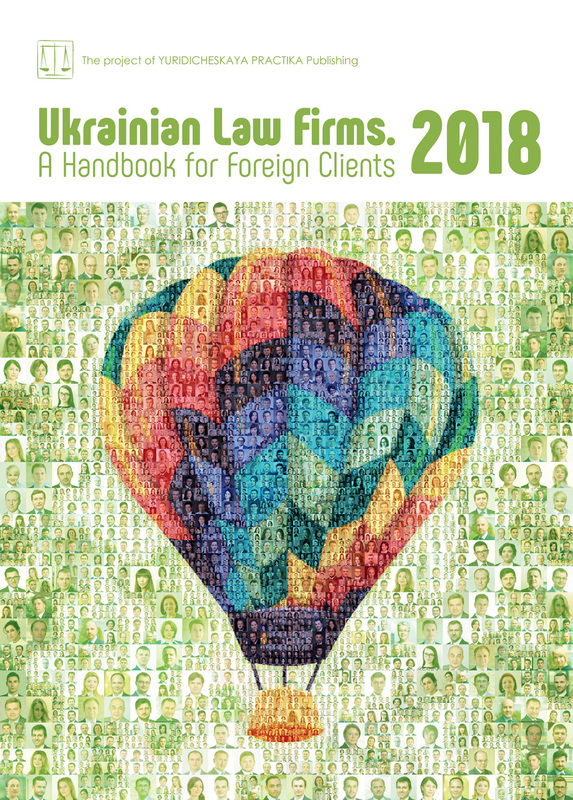 A Handbook for Foreign Clients, Kyiv Post, Legal Awards, international directories Legal 500 EMEA, World Tax and World Transfer Pricing, International Tax Review. In 2015 EUCON won the Ukraine Transfer Pricing Firm of the Year award at the annual European Tax Awards 2015, International Tax Review. The tenth anniversary awards ceremony of the best Ukrainian lawyers Legal Awards 2016 named International Legal Center EUCON Transfer Pricing Firm of the Year in Ukraine. In view of the current trends in tax policies, International Legal Center EUCON has established a separate transfer pricing practice and enlisted lawyers in addition to auditors and assessors. Our philosophy when protecting a client’s rights is simply to prevent legal risks and litigation. The firm operates at two offices. Yaroslav Romanchuk heads the Ukrainian office in Kyiv and Ihor Yatsenko is the head of the firm’s Polish office in Warsaw. Clients include international and Ukrainian industry leaders that come from the oil and gas sector, energy, agriculture and food industry, telecommunications, trade, transport, metallurgy, chemical industry, construction, hospitality, finance, etc. The performance of the International Legal Center EUCON and its partners is highlighted by numerous recognitions and awards. Since 2010 EUCON has been included in the list of top 50 Leading Law Firms in Ukraine according to the annual ratings of Yuridicheskaya Practika Weekly and Kommersant-Ukraine Publishing House. EUCON is recognized among the country’s leading tax law firms according to the national legal directory Ukrainian Law Firms. A Handbook for Foreign Clients, Kyiv Post, Legal Awards, international directories Chambers & Partners, Legal 500 EMEA, World Tax and World Transfer Pricing, International Tax Review. Why do Ukrainians Choose Poland as a Business Immigration Destination? In 2014 the history of Ukraine changed drastically. The crisis over this coun­try brought back not only the illusion but the reality of war. That’s the turn­ing point when Ukrainian business that historically and geographically was greatly oriented towards trading with Rus­sia was suddenly forced to look for new trade and development directions. The Ukraine–European Union Associa­tion Agreement, signed on 21 March, 2014, was treated excitedly by Ukrainians, and as a huge opportunity that had finally ap­peared. All of a sudden over 500 million citizens of the European Union started to be much closer as a trading partner, opening up absolutely new horizons. 2014 and 2015 were years when busi­ness expansion was also supported with hotheaded decisions in most cases with­out any long decision-making process or in-depth analysis of various factors, Ukrain­ian entrepreneurs were ready to leave the country in order to prepare the ground to build their business abroad, often planning to go with their whole family. Firstly, Poland’s convenient geographical location, which was by Ukrainians metaphorically seen as a bridge between Ukraine and other European countries. In addition, an easy accessible market to over 38 million people but and as mentioned before, the entire EU market with over 500 million potential customers beyond. Another advantage comes from Poland’s participa­tion in different global organizations like the European Union, United Nations, and NATO (especially, which was a reason for the de­fense industry). Moreover, the economy of Poland was not as affected by the global crisis, and has even strengthened its positions. This was due to internal turbulence, which was the reason Ukrainians took into account, as sta­bility for them is in great demand. Furthermore, Poland significantly im­proved its infrastructure, particularly the road and rail transportation environment (thanks to EU funds, that is often bat-eyed by Poles). Economic growth in 2016 was 2.8% and GDP per capita growth at the level of 70% of the EU average. According to Bloomberg’s rankings in 2017, Poland is in 22nd place in the ratings of the most in­novative countries in the world. The ranking was based on six innovation factors such as R&D, manufacturing, hi-tech companies, education, research personnel, and patents. Poland also was one of the key sup­porters of Ukraine during the conflict with Russia, which created a positive picture in terms of choosing a destination for expansion. Another key reason for com­ing to Poland was the closely-related language, which is quite easy to learn for Ukrainians and very intuitive (but not in all of the cases because some phrases that seem to be quite similar could have totally different meanings). So that makes the communication and adap­tation process much more accessible. There are also special organizations es­tablished by the Polish authorities that are responsible for creating a positive attitude toward new potential investors. The friendly climate for investors and clear legal rules create even more trust in this country. In the report “Doing Business 2017”, Poland stood in 24th place in terms of “Ease of doing busi­ness” according to the World Bank. The special attention of Ukrainian in­vestors was grabbed by other investment incentives, such as tax credits, special eco­nomic zones, areas for investments, acces­sibility of EU funds and so on. There are plenty of institutions that provide advisory services to new investors. Another significant reason is that in Poland you can find well-qualified employee for a quite reasonable salary (in comparison to other European countries). Moreover, the country already had many educated specialists and many Ukrainians who arrive there continually in search of a stable source of income (according to various statistical sources there are currently between 1 million and 1.5 million Ukrainians in Poland). That was also treated by entrepreneurs as a great opportunity to build their business. However, we should bear in mind that many Poles had already left and are still leaving the country, mainly for EU countries like Germany and the UK, while Ukrainians barely could substitute that leaving workforce. According to statistics provided by The Ministry of Family, Labor and Social Policy, data from employment offices identify registered unemployment at 6.6% in December 2017, which is pretty low. A qualified workforce is in great demand by global corporations and Polish and Ukrainian companies doing business in Poland. As Dmytro Kobzarenko, Production — Director at Zavod Kobzarenko (Ukrain­ian leading manufacturer of agricultural equipment), said: “Polish investment pro­grams provided a great contribution to the development of Ukrainian producers abroad. An additional advantage was at­tractive prices for land near big cities. The problem was, unfortunately, a staff issue. Manufacturing industry in Ukraine con­tinues to lose more and more important employees, attracted by higher wages in Poland and other EU countries. The manu­facturing sector in Poland also suffers from staffing problems as more and more peo­ple of the young generation continue to go to Western countries. We are currently interested in test mode to consider the employment of our workers at subsidiar­ies in Poland. Such integration reduces the language barrier and keeps important em­ployees at the enterprise”. Moreover, it was highlighted by other business community representatives, that the Polish authorities work transparently and that was taken as a huge advantage in comparison to the situation present in most cases in Ukraine, though some offi­cial agencies were exceptionally bureau­cratic (most of the complaints about The Office for Foreigners, were repeatedly the tons of documents that should be submitted and long queues exist to receive residence permits, especially for business owners of newly-arrived companies). What’s more, on this list last but often not least, parents were looking for a high­er education for their children and that’s something Poland could also provide you with, as it’s currently full of public universi­ties and private universities able to deliver a pleasant combination of good quality and surprisingly affordable education. All of the above-mentioned reasons created favorable conditions in 2015 for the Ukrainian Business Association in Poland to appear. It was set up by 25 Ukrainian investors and supported by the Ukrainian Embassy in Poland headed by the well-recognized diplomat Andrii Deshchytsia. Most Ukrainian business starts in Po­land with so-called “trade houses” at the very beginning, as it helps them to explore a new market, prove their business con­cept, find differences in conducting busi­ness here and compare it to their previ­ous experience. Many entrepreneurs try to apply approaches that used to work in Ukraine or Russia but that do not fit into the framework of the European mindset and it’s integral part for a business project to understand this in order to succeed. Being present in a new country also plays an essential role in terms of building tight relations with new business partners and customers. Moreover, acquired expe­rience gives them an opportunity to rethink and restructure the strategic development of their companies that already operate in Ukraine. For some manufacturers, represen­tation in Poland gives an opportunity to supply and serve their production needs with new materials, parts and machines, as usually global and European companies set their offices that cover Ukraine in Rus­sia and communication with Russian divi­sions in many cases was simply blocked and they refused to supply required parts. There are also Ukrainian companies that have ambitious plans of setting com­plete manufacturing capacities in Poland in order to be even closer to their Euro­pean customers. Some of them are in the process of building their plants and some already operate or have acquired produc­tion capacities. International Legal Center EUCON (with offices in Kyiv and Warsaw), often support manufacturers as a legal and in­vestment advisor. EUCON has been oper­ating as a Law Company on the Polish and Ukrainian cross-border market since 2006 and has partners with deep expertise and broad experience that helps to success­fully navigate these types of projects. — sharing of information between top managers and business owners. Another interest of the Ukrainian Business Association in Poland is generating new entrepreneurial opportunities and building friendly relations between the business representatives of the two neighboring states. An annual forum like Ukrainian Business Day which is held in Warsaw usually during the spring and Polish Business Day in Kyiv (autumn) began as a platform for developing such relations. Moreover, since 2014 a series of these events were strongly supported by Government representatives, including institutions like the Ministries of Development, Ministries of Infrastructure, embassies and other authorities of both countries that warmly welcomed such an initiative by the business community despite the political steam that covered the last year of clashes over historical truth. A nice addition to the aforementioned events is that of the opening of the so-called Ukrainian Business Hub, which should become an integrated office in Warsaw to connect Ukrainian investors in Poland and assist in mutual exchange of experiences. That should be the place where people can solve most of their issues in a new market to ensure rapid growth and avoid common mistakes. The period of 2016-2018 has continuously demonstrated the great interest of Ukrainians in expanding into Poland and EU countries, though this interest is framed with a more prepared and thought-out decision, which includes deep analysis of the new market and thus has a vital influence on the quality and success of business projects.